Malkyrs: The Interactive Card Game, a virtual trading card game with physical cards that come to life via NFC and RFID, is about to release on Nintendo Switch in Q3 2019. The game is currently available on PC.No further details are known at this time. 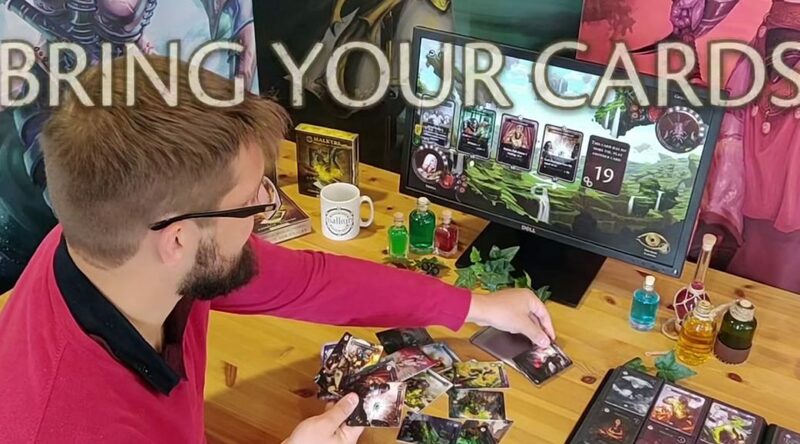 Malkyrs: The Interactive Card Game, the virtual trading card game with customizable physical cards that come to life via NFC and RFID technology, enters players’ hands on Nintendo Switch Q3 2019. Construct a hand of 10 cards and battle friends through co-op and local matches, or fight through an intense and branching campaign with multiple endings. With more than 250 gorgeous, destructive cards available, players can create chaotic combos and devious strategies to decimate their opponents. With a PC, NFC-compatible device, and the Malkyrs Nomad App, players can scan their cards into the game. Powerful boons like faction choices, equipment slots, and ability slots are earned through matches and saved directly on the cards through RFID. Physically trading cards with friends is akin to handing over storied adventures of valorous deeds.